Cake always elevates a gathering into a celebration. As important as the main spread is on a dining table, nothing signals an event’s crescendo quite like the appearance of a cake, often brought out at parties accompanied with singing and clapping. Everything else that happens after is the denouement, a dwindling of festivities after the sugar high. These confections made of little more than flour, butter, eggs, and sugar have a particularly special place in the wedding ceremony. Symbolic of the first meal shared by husband and wife and the sweetness with which they hope to fill their marriage, the cake is carried or wheeled out to the reception to grand acclaim, with all eyes on the newlyweds as they slice off a piece to feed each other. 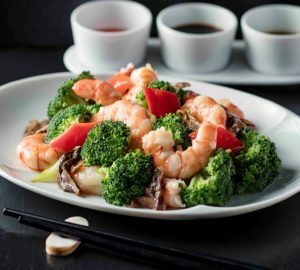 It is also the last thing people eat, giving it the responsibility of leaving a delicious lasting impression among guests. With such a big role to play in an important life event, the cake has given birth to a long-standing global industry estimated to be worth US$2 billion in 2015 by the Association for Wedding Professionals International director Richard Markel. If we were to take a look at the local wedding cake scene, this figure would be hardly surprising. For Mark Flaviano, owner, manager, and cake creator of the pastry business Sparks, the fees he charges for two to three multi-layered wedding cakes are often higher than an employee’s monthly salary in a regular pastry job. 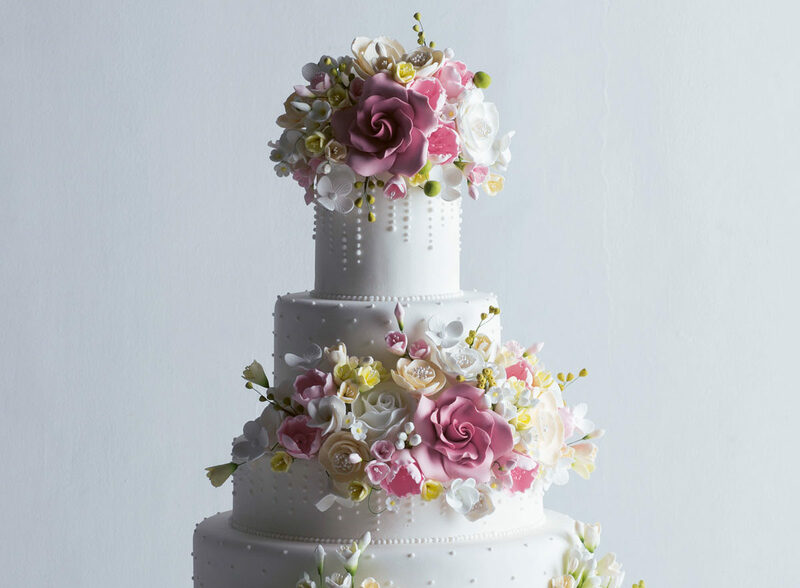 As he should—with orders like a red, eight-foot-tall cake that features 400 small handmade flowers attached to each layer, there’s more than just the normal baking and decorating involved. It isn’t so much that Flaviano gets so overwhelmed by the demands of his clients that he has to raise his prices. For Mark Flaviano, owner, manager, and cake creator of the pastry business Sparks, the fees he charges for two to three multi-layered wedding cakes are often higher than an employee’s monthly salary in a regular pastry job. 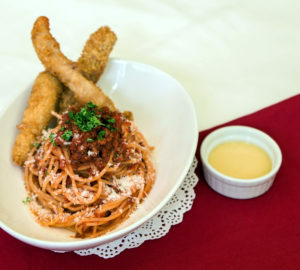 Shortcrust Pastry Shop’s Peachy Juban puts it more succinctly: “The cost of a wedding cake is more than just [the cost of] butter plus sugar plus eggs plus flour.” Citing that an average wedding cake starts at P25,000, she explains further, “How much I charge depends on how much people are willing to pay for the quality of my work.” And that quality is ever evolving. Though she started her business in 1994, she continues to study the pastry industry, keeping abreast of new techniques and trends and passing on what she knows to others. 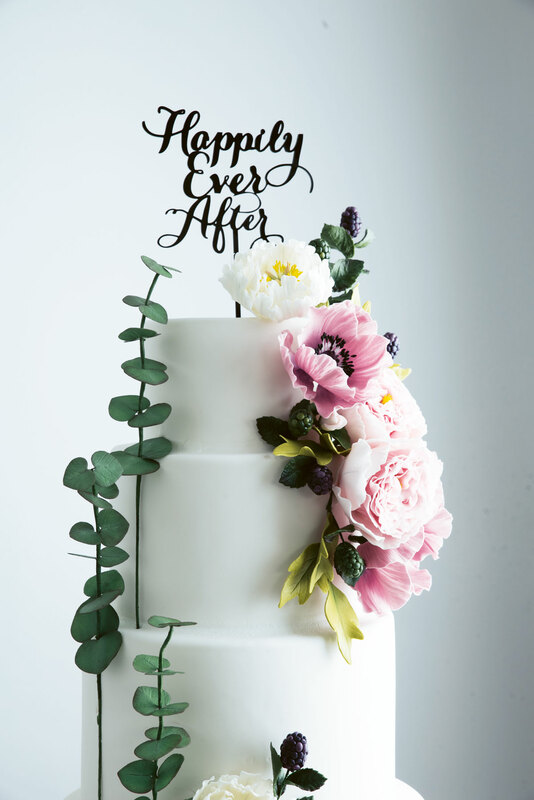 In addition to the cake expertise she brings to the wedding table, she also takes care to get to know a couple’s stories on top of their flavor, color, and motif preferences, since these serve as the basis for the designs she’ll whip up for them. The research, preparation, and vision that go into her work are invaluable components of every cake she makes. “The cost of a wedding cake is more than just [the cost of] butter plus sugar plus eggs plus flour.” Citing that an average wedding cake starts at P25,000, Peachy Juban explains further, “How much I charge depends on how much people are willing to pay for the quality of my work.” And that quality is ever evolving. The work doesn’t end, either, with the placement of the wedding topper or the last handmade flower on the cake. 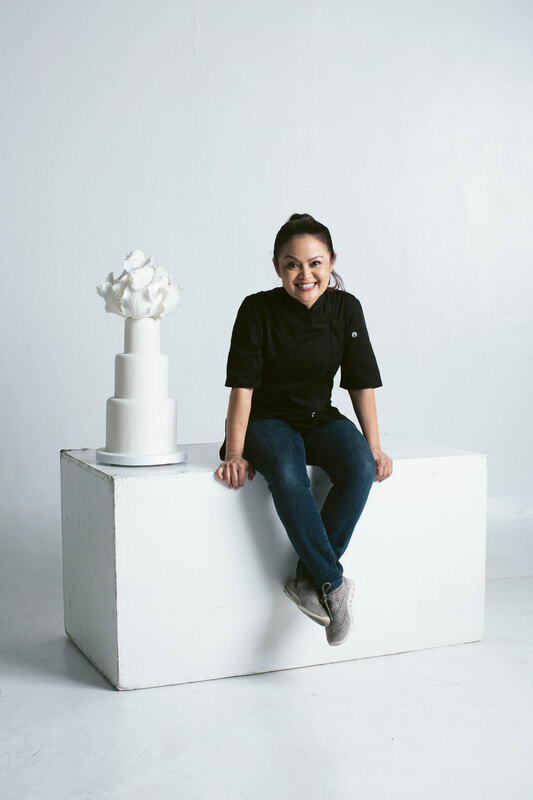 With Manila’s traffic, getting this all-too important wedding centerpiece to its destination is often a source of logistical nightmares for pastry businesses. Flaviano has experienced leaving behind his car and carrying by hand a multi-layered creation down the street amid the traffic and heat just to make sure the cake reached the wedding venue on time. “Almost nothing can’t be built with proper planning, and [the work becomes] as complicated as I want it to be. Executing a cake design perfectly is more like finishing a painting than just completing a job,” says Cay Cuasay. “As the Titas of Manila might say, ‘Que horror naman!’” he quips. Flight regulations also impose problems, such as when Juban and her four-person team had to transport cakes from Manila to a destination wedding in Bohol. It took them two days to pack everything, with the sugar flowers and their backup pieces bubble-wrapped individually. 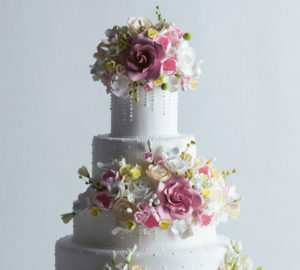 “It also took some skilled eyelash-batting to convince the airport police to let us hand-carry six cakes,” she recalls. The trouble was all worth it, though. 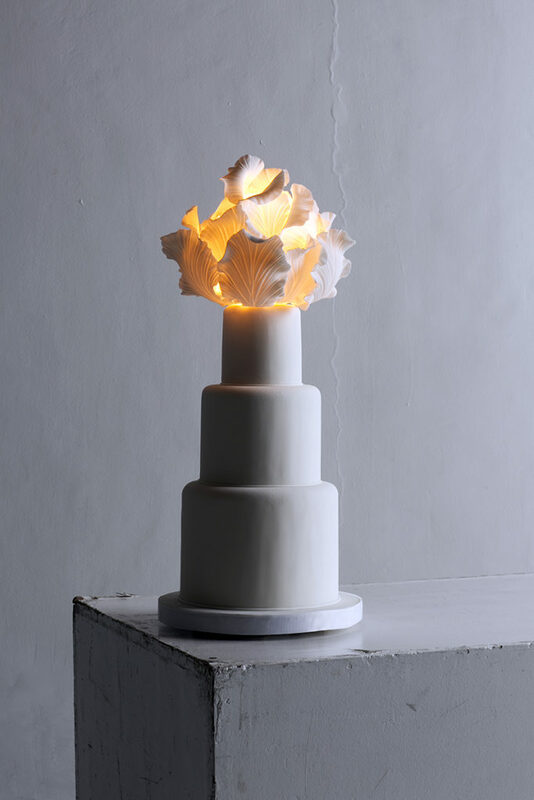 “Making a wedding cake is an opportunity to contribute to one of the most anticipated occasions in a couple’s life. In a culture that still puts so much significance on the wedding ceremony, where it’s reasonable to allocate at least a year for preparations and spend a six- to seven-figure budget (never mind incurred debts) to take care of all the details that will happen on just a single day, a pastry chef might think nothing of expanding into the wedding cake industry, armed with what he already knows about baking and dealing with clients and deadlines. There are certain disciplines specific to this line of business, however. Cuasay believes that finding then developing a particular style is crucial, as the one-aesthetic-fits-all mode of commercial baking won’t cut it. “When clients know the kind of design you do well, that helps them zero in on you. And because they pay a premium, a chef has to keep an eye out for the quality of their cake designs as well as their taste. “When clients know the kind of design you do well, that helps them zero in on you. 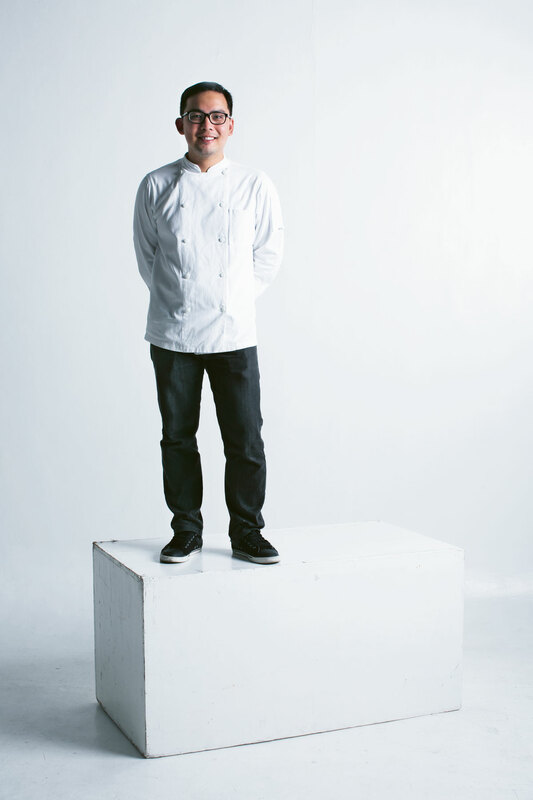 And because they pay a premium, a chef has to keep an eye out for the quality of their cake designs as well as their taste,” says Cay Cuasay. Consistency is key in delivering your brand’s message and in getting better at what you do.” Taking advantage of the platform offered by the Internet is a vital second step to establish a name in one’s target market. “A consistent and well-curated online presence as well as features by bloggers and magazines bring clients to your door,” Juban advises. “Keep in mind, though, that the deal is sealed with good people skills. Word-of-mouth advertising happens with consistent quality and sincere service.” Part of the necessary promotional hustle is investing in cake samples, which Flaviano says are useful in establishing professional relationships with events management groups and catering businesses, as it’s best to cover both bases: score a client directly and be part of a team that can present a whole wedding package to a couple. I do agree with you that the appearance of a cake especially a big one seems to highlight the celebration and add a festive feeling inside. That really holds true especially on birthdays as a birthday without a cake seems incomplete for children. As we have a plan to celebrate to the 10th year of my daughter, I will definitely order a custom cake that will make the celebration more memorable for her.